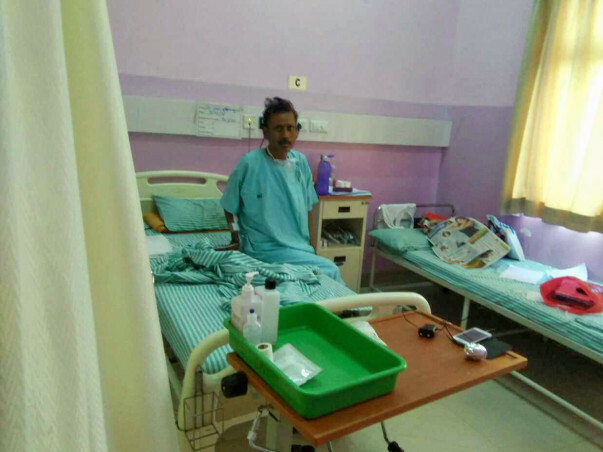 Until 15 days ago, Shivaputrappa, a man whose health is rapidly deteriorating did not know that he is fighting blood cancer. His wife is single-handedly struggling to save him from the deep-end and is now feeling helpless to fund the only treatment that can help him beat the disease. Mahadevi and Shivaputrappa live with their two sons in Gulbarga. Here, Shivaputrappa is a farmer who once had a land of 3 acres but had to sell because of two years of dry skies and failed crops. Shivaputrappa had a surgery for a tumor. The wound did not heal for a long time. He developed bleeding, severe pain and a high temperature. Mahadevi was worried for him, and they began consulting doctors at a stretch until they discovered he had blood cancer. Mahadevi sought care from yet another private hospital, hoping chemotherapy would cure her husband. She did not comprehend the various cycles of treatment that would ensue, and that this was just the beginning. Mahadevi had to tell her husband about his disease now that he needs another surgery. Shivaputrappa has lost all hope. He has not been eating food or drinking water. He refuses to take his medicines and does not want treatment. He believes that the disease will kill him. Shivaputrappa needs Rs. 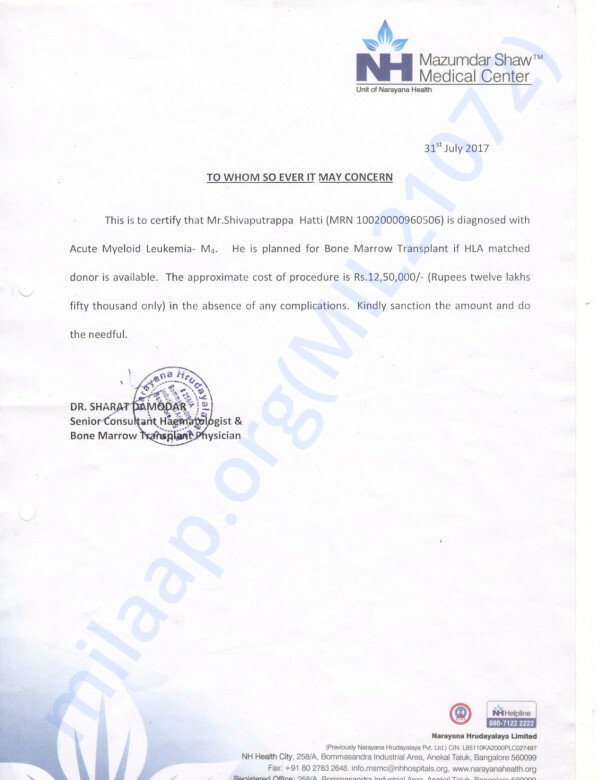 15 lakhs for bone marrow transplant and Mahadevi is pleading everyone for financial assistance. Your support can help Mahadevi save her husband’s life. I lost my father to blood cancer. I will pray for your fast recovery.may god bless u with long and healthy life. U will come back strongly. Just have belief n faith on God. My prayers are with you. Get well soon.